Specially designed for Home Automation, our Wi-fi devices easily connect most Air Conditioners to the web enabling a wide range of visualization and control of data. We can turn your Air Conditioning system into an energy efficient fully configurable unit. 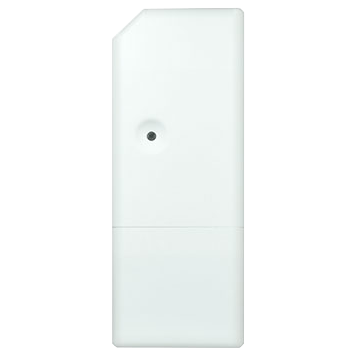 Chipkin's WiFi Gateways allow an easy Air Conditioner integration in any kind of control and monitoring system using a simple IP Protocol. A new WiFi product family is specifically designed for Home Automation Manufacturers or Integrators interested in offering a control solution for the Air Conditioner System, allowing them to create a simple Driver for their Home Hubs controllers. Does not require cable installation between the Air Conditioner & the Home Controller. Easy creation of new Drivers for any Home Controller thanks to the easy IP protocol. Control, through the Home Automation system, the responsibility of more than 50% of your electricity bill. 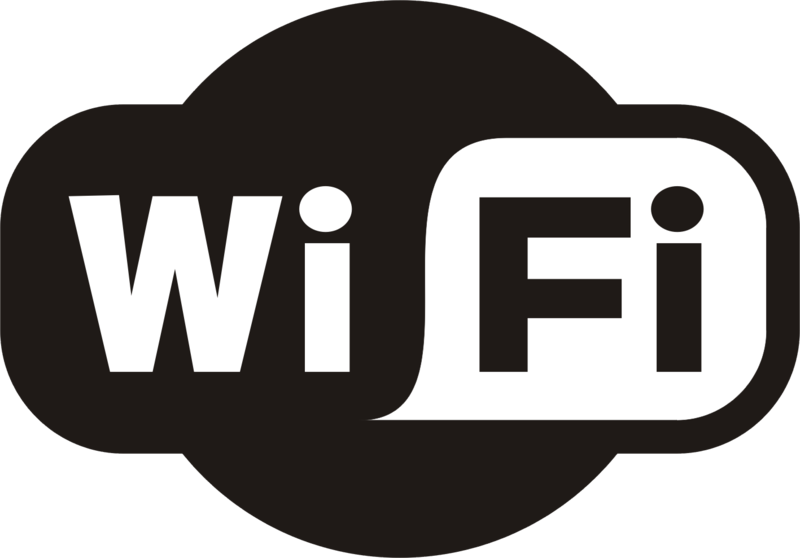 Possibility to auto-discover the WiFi devices installed in the WiFi network. Firmware upgrades with new functionalities. WiFi configuration allows Dynamic IPs or Static IPs. 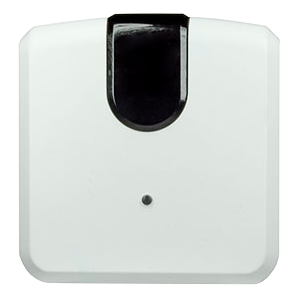 Universal Controllers: Offers compatibility for thousands of Air Conditioner models, it only requires an Indoor Unit that has an IR receiver working with a standard Wireless Remote Controller. Learning about BACnet? Want to update your BACnet knowledge? 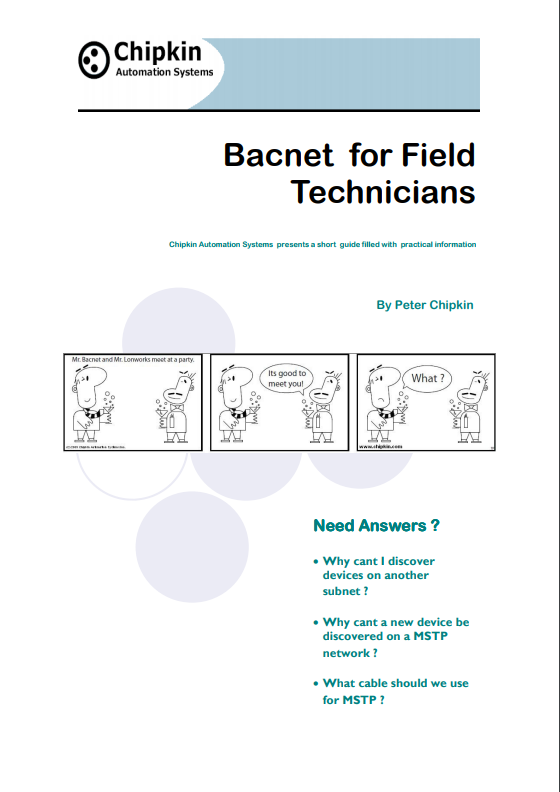 This free EBook will guide you through basic and advanced BACnet topics. You can purchase a hardcopy of this book from Amazon or you can download the BACnet for Field Technicians for free from our website. 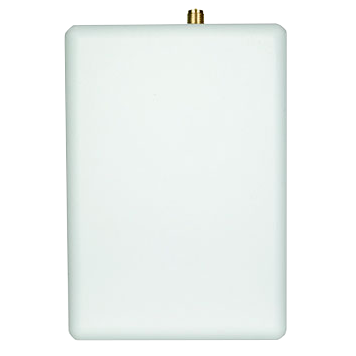 FREE CAS BACNET EXPLORER WITH THE PURCHASE OF A BACNET GATEWAY! Purchase a FieldServer or CAS Gateway from us that contains any BACnet protocol and we will help you test and document the BACnet interface by providing a free full license to the CAS BACnet Explorer and a Hardcopy of the BACnet booklet. The USB key and booklet ships with the product. Thanks for choosing Chipkin’s protocol gateways, data clients, and integration services to meet your building and industrial automation requirements! Chipkin™ is a building and industrial automation protocol expert. We develop, configure, install and support gateways (protocol converters), data loggers and remote monitor and controlling applications. Founded in October 2000, Chipkin provides expert solutions for converting BACnet®, Modbus®, and LonWorks®—to name just a few—and enabling interfaces for HVAC, fire, siren, intercom, lighting, transportation and fuel systems. The high-quality products we offer (including those from other vendors) interface with Simplex™, Notifier™, McQuay™, GE™ and many others—so you can rest assured that we will select the most appropriate solution for your application. With Chipkin you are buying a solution. Our configuration expertise in this field combined with free BACnet and other tools ensure your success; and our customer support via phone, e-mail, and remote desktop tools means that we’re there when you need us. Chipkin is a small responsive company, and we live or die by the quality of our service—and with offices in two-time zones—we can provide support when you need it. Give us a call now!